Radha Krishna Love Quotes in Hindi and English with Images , the most beautiful Radha Krishna Quotes on Love in Hindi Language as well as in English Language. The name of Krishna is really incomplete with Radha, the real soul mate of the lord. The are two bodies but one soul. We have collected the 100+ Radha Krishna Quotes or simply saying Radha Krishna love quotes for our readers. These quotes tells us the undetermined depth of eternal love of these two. Radha is incomplete without Krishna and Krishna is incomplete without Radha. Radha is reflection of Krishna. The Krishna is invisible until we utter Rradha. The couple is the example of pure love. I want to close my eyes with the picture of Radha and Krishna. Lord Krishna plays the flute , but voice of radha we hear. Krishna please give me a favor and teach me to play the flute so that I can call you. When we see Radha we also see Krishna and when we see Krishna we also see radha. Krishana give me a luck like Radha so that I can see you day and night. Radha and Krishana tell us the meaning of real love. The love of radha and Krishana is beyond explanation. If you wish Krishna to keep his blessings on you , keep enchanting radhe radhe. Krishan makes radha great and Radha makes krishna great. The entire world is attached with the thread of Love , the lesson given by Radhe and Krishna. Krishna is the soul of Radhe is the soul of Krishana. Radhe and Krishna came on earth for us , to teach us the meaning of selfless love. Krishna is king of universe and radha is the queen. No one can tell the difference between Radhe and Krishna. Love is the power that pulls the entire world, says the story of Radhe and Krishna. 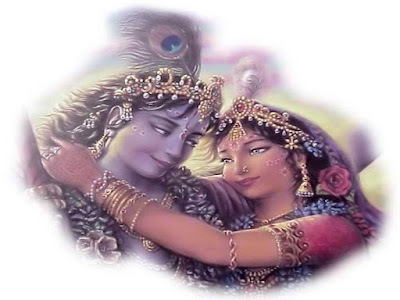 Thanks for Reading Radha Krishna Love Quotes in Hindi & English with Images , please share this post . Thanks for visiting our blog DigitalSafalta.